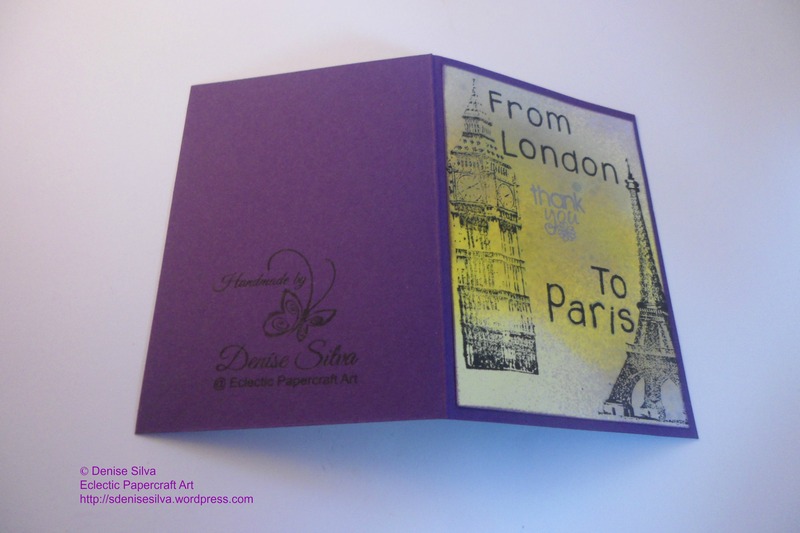 I just returned from Paris on Monday, and this was one of the cards I made to the person I went there to meet with. This is a A7 card. I’m having so much fun with this background technique! It’s so easy to make, just fill a spray bottle with some alcohol, pop some re-inker, shake it and it’s ready to go! I’m making small cards, and in this case if you feel the need, put some paper to mask your project avoiding to spray too much ink in one spot. And… Have fun! This entry was posted in Cards and tagged Handmade card, handmade presents and gifts, Handmade Thank You Card, Inking, paper art, papercraft, Stampin' Up!, Stamping. Bookmark the permalink.